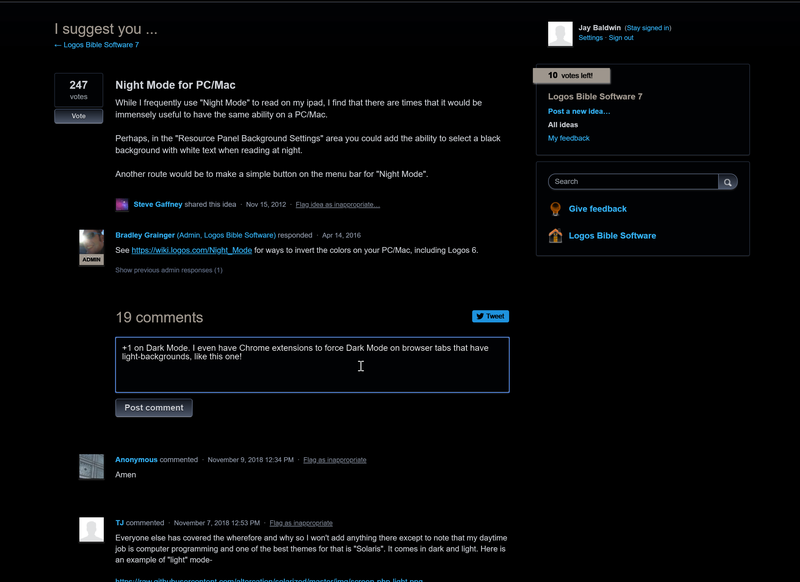 I even have Chrome extensions to force Dark Mode on browser tabs that have light-backgrounds, like this one! Windows 10 and macOS both have full-support for Dark Mode ... I use both.